Motivated to be successful! That's the drive Danny & Justina Sapien possess that has allowed them to open their second Premier store in the state of New Mexico. "We always wanted more than one store. We want to take advantage of all that The Premier Companies has to offer. We were successful with the Los Lunas store and thought if we were going into business, then we want to do it big!" said Justina. 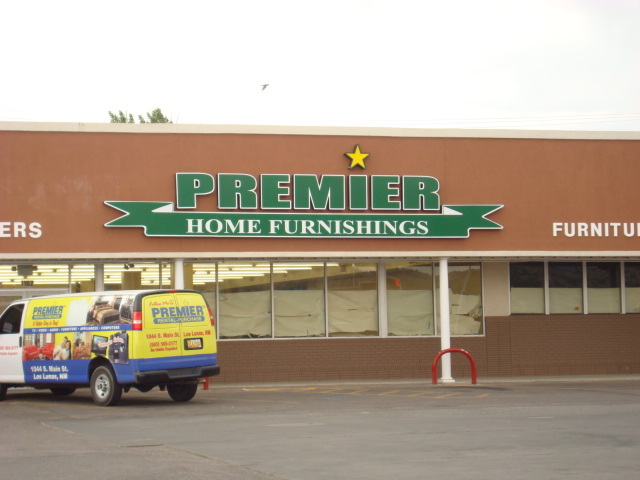 This motivation drove them to open their second Premier Home Furnishings store in Gallup, New Mexico. The Grand Opening event took place September 1st-3rd.. They celebrated with food and prizes for customers and entertainment provided by a local radio station. "Jason Kunz has played an instrumental role in the success of the Los Lunas store and with the opening of the Gallup location. He is Danny's right hand man and has been with us from the beginning," commented Justina. Community involvement is important to the Sapiens. They support many local organizations including the American Cancer Society (Relay for Life), University of New Mexico Children's Hospital, and ASAP for Children. Congratulations to Danny & Justina for the opening of their 2nd store!